Extra income: It can come in handy! Today’s boomers and seniors are at greater risk than ever for being short of cash in retirement for several reasons including the recession of 2008. In a survey conducted by Home Instead Inc., franchisor of the Home Instead Senior Care® network, income was selected by the most respondents as a top motivation for returning to work, and 33 percent said the best part of returning to work was making money. Women, who may have taken time off from work to raise families and care for elderly loved ones, could especially be at a disadvantage. 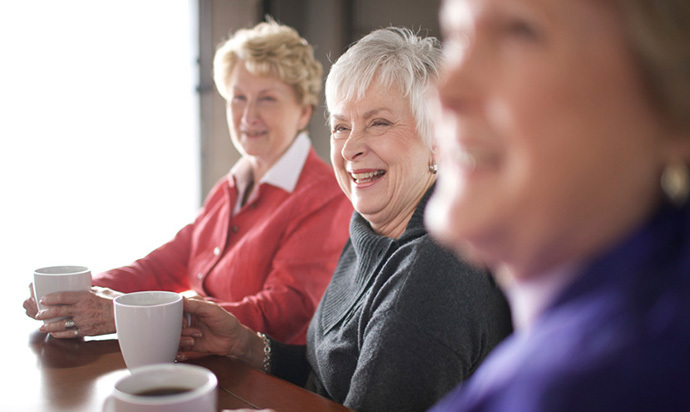 Just 12 percent of women in a Transamerica Center for Retirement Studies’ survey (PDF) reported they are “very confident” they will be able to retire fully with a lifestyle they consider comfortable. A remedy for boredom: Fighting boredom was another reason (at 43 percent) that older adults returned to work, according to Home Instead research. Some people don’t anticipate the isolation that can result when they leave the workforce or the absence of the type of work that gave their lives meaning and purpose. Finding work serving others, for instance, could help bring back that fulfillment. The varied and sometimes colorful stories that come with the workplace and its people could enhance your life and, at the very least, give you something to talk about at cocktail parties. An antidote for brain drain: Research boosts the “use it or lose it” theory about brainpower and staying mentally sharp. People who delay retirement have less risk of developing Alzheimer’s disease or other types of dementia, a study of nearly a half a million people in France found. For each additional year of work, the risk of getting dementia is reduced by 3.2 percent, the study noted. It’s an important benefit as well to those surveyed by Home Instead. Twenty-two percent of those back at work said they chose to unretire to keep their mind sharp and socialize with others. Increased energy: Work, especially a job you enjoy, could be invigorating. From finding a way to serve others to discovering a new mission in life, unretirement might give you a reason to jump out of bed in the morning and renew your outlook on life. Mentoring give and take: It can be fulfilling to pass along advice to co-workers from years of experience in the workforce. However, you’ll learn plenty from other generations as well. Readjusting attitudes may be called for, however. “Older workers must make it clear they can take direction from someone younger,” said Tim Driver, founder of RetirementJobs.com.”Work hard to understand what you look like from another’s perspective.” Societal changes and experiences from technology to movies and music shape each generation. All of these influences can potentially provide learning opportunities for both younger and older workers. A longer life: Research has shown that working longer correlates to longevity. In fact, Oregon State University researchers report that working past age 65 could lead to a longer life, while retiring early may be a risk factor for dying earlier. The researchers found that healthy adults who retired one year past age 65 had an 11 percent lower risk of death from all causes, even when taking into account demographic, lifestyle and health issues. Adults who described themselves as unhealthy were also likely to live longer if they kept working, the findings showed, which indicates that factors beyond health may affect post-retirement mortality. Better health: Without the structure of a job, healthy habits could slide. More employers than ever have wellness programs, health incentives and benefits. Absent that support, it could be more difficult to keep weight down and activity levels up. Even if you’re a part-time worker, having a co-worker who enjoys nature walks or activities could be motivating. Being unemployed/retired was associated with the greatest risk of poor health across all health status measures even after controlling for smoking status, obesity, and other predictors of health, noted researchers from the University of Miami. Compared to people with white-collar jobs, those who were unemployed or retired were nearly three times more likely to report their health as “poor” or “fair.” People with blue-collar jobs, service-industry jobs or who worked on farms rated their health as about the same as their white-collar peers. Emotional support: Aging can bring loss as friends and family members pass away or move. Your parents may be gone as well as your spouse. The support of a work family and co-workers can mean a lot when you’re facing loss. For some, the distractions of a job can help ease the pain of losing someone you love as well. Social connections: Many people will tell you they count their closest friends among individuals they have met on the job. 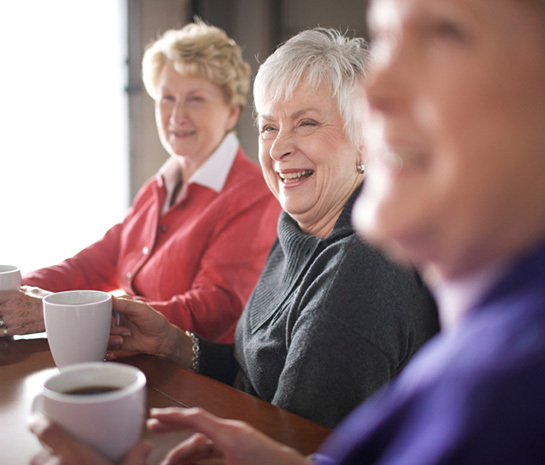 From workplace outings to after-hours get-togethers, the social connections you make at work could last well into your retirement years. And staying connected is important to healthy aging.